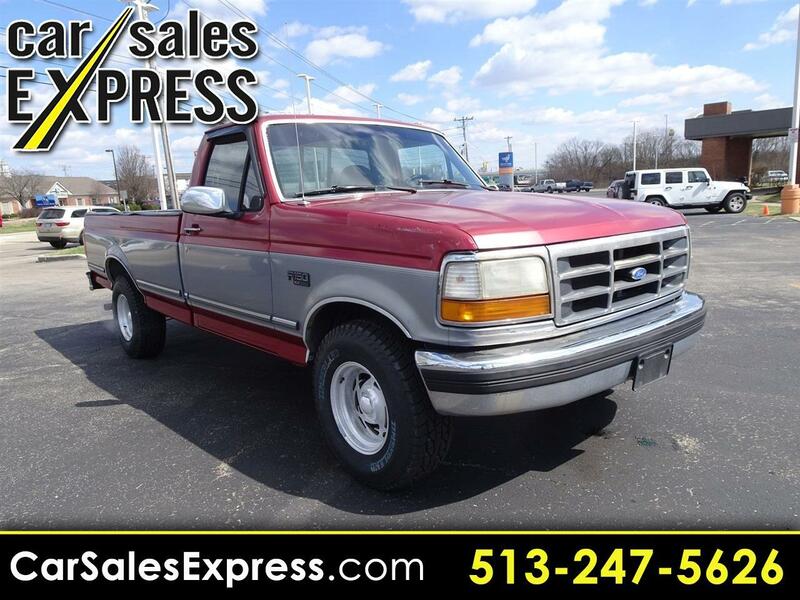 **PRICE REDUCED, **CARFAX NO ACCIDENTS, **THIS IS A VERY NICE TRUCK, **POWER WINDOWS, **POWER LOCKS, **CRUISE CONTROL, **TOW PACKAGE, **BED LINER, **ALUMINUM ALLOY WHEELS, **NEW TIRES, **AUTOMATIC TRANSMISSION, **REG CAB LONG BED, **SERVICED, **DETAILED, **PRICED FOR QUICK CASH SALE, **THIS VEHICLE INCLUDES THE FOLLOWING FEATURES AND OPTIONS: ABS brakes, Power steering, Variably intermittent wipers, and Voltmeter. ** We offer Market Based Pricing, please call to check on the availability of this vehicle. We'll buy your vehicle even if you don't buy ours. Our quick, no haggle experience allows you to buy easier and faster. Message: Thought you might be interested in this 1995 Ford 150.